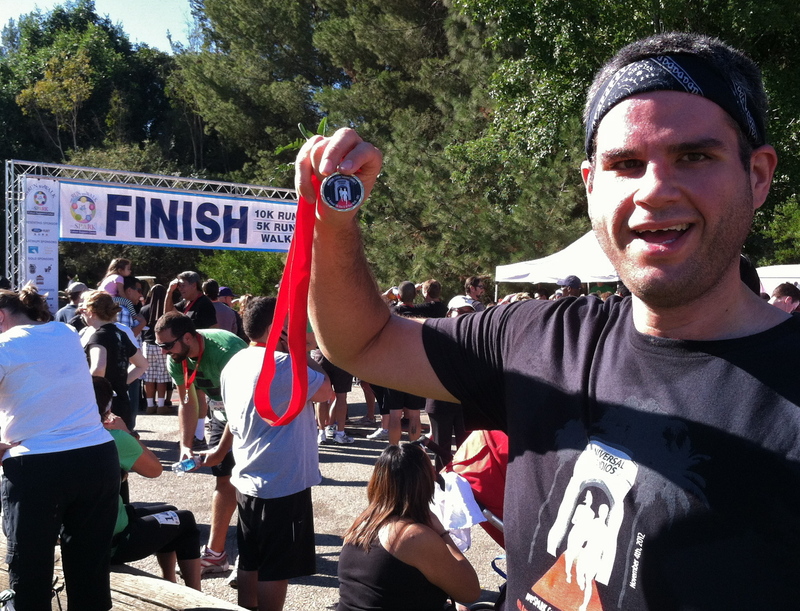 weSPARK Universal Studios Backlot 10K RECAP! | Keep It Up, David! 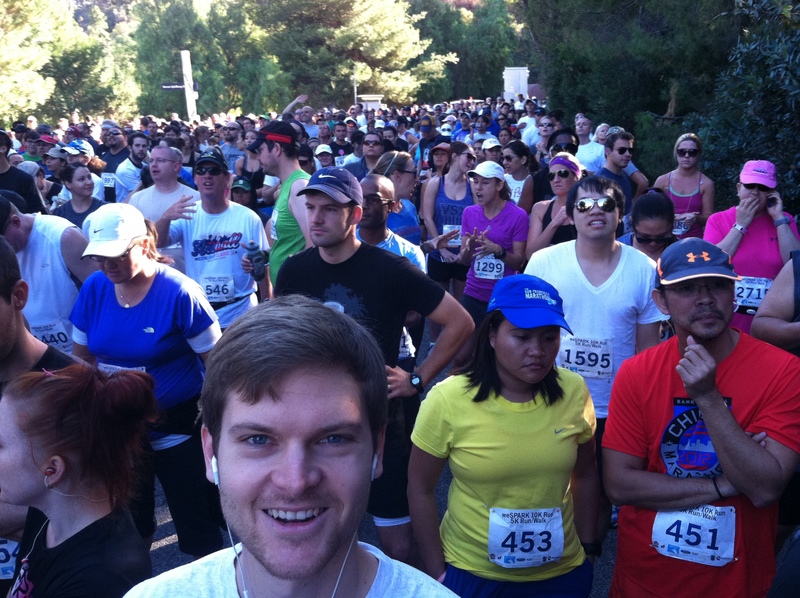 weSPARK Universal Studios Backlot 10K RECAP! 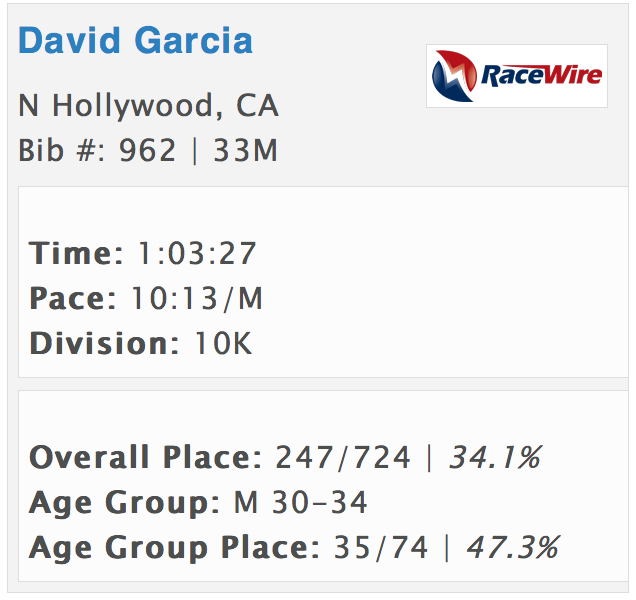 My legs are still sore, ladies and gentleman, from the 10K race I ran on Sunday. That means I really pushed myself. And I’m really proud of how things turned out. But I’m jumping ahead of myself… I should start at the beginning. As I’ve mentioned a few weeks ago, I have no ill will towards Max, although I must say that once I saw him up there, I felt a few pangs of jealousy. There wasn’t much time to focus on it, though, because there was a race to run! 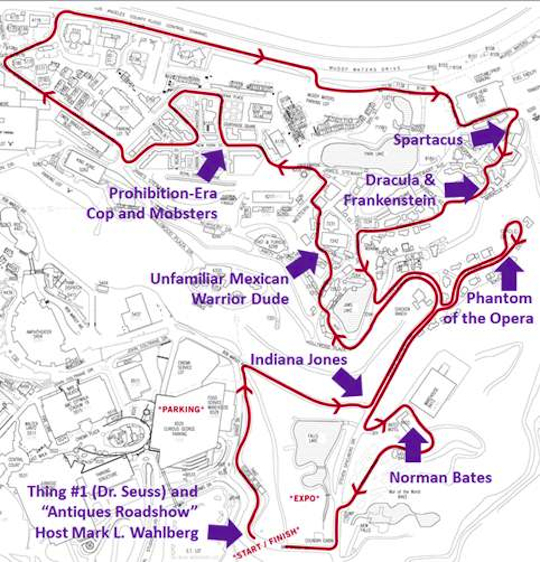 This is the second time I’ve run the weSPARK Universal Studios Backlot 10K, and I don’t think I’ll ever get tired of running this course. It winds through all sorts of movie sets, including Wisteria Lane from “Desperate Housewives,” Jaws Lake, the Bates Motel, the town square from “Back to the Future,” and many more (you can see pictures of some of these in last year’s recap). The course is a 5K loop that the 10K runners complete twice, and it features a giant hill that you run down at the beginning of each loop, and then run up at the end. It’s tough, and I was less prepared for the hill than I was last year. All I could think about during that first loop was how the giant hill was coming up, and how I was going to have to run up it twice. I needed a distraction to get my mind off that hill. And I think I came up with a good one! After I finished the race, I went and found Nancy, the lovely woman in charge of the whole shebang. She was the one who invited me to start the race, and when she had to retract that invitation, she invited me to participate during the medals ceremony. 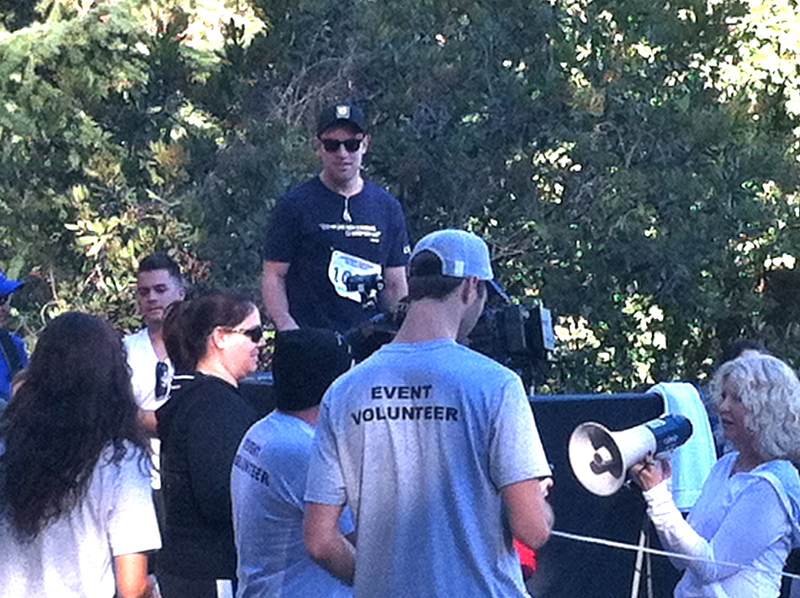 Before the ceremony started, she told me that Max Greenfield had been looking for me; he had wanted to say hello. Well, isn’t that sweet! Perhaps he had seen my blog post from two weeks ago (it would’ve been easy for him to find; I tweeted him the link). I didn’t end up meeting Max – he had to take off before I made it back to the expo area – but it confirm my hunch that he’s a good dude. Maybe our paths will cross another day. Maybe he’ll leave a comment or respond to the tweet that I’ll send him alerting him of this post. Passing out the medals and trophies was pretty fun, and Nancy gave me a wonderful introduction and I got a nice round of applause. It was an honor to be asked to participate in that way, and I’m thankful for the opportunity. I’m also thankful to my wonderful donors, who helped me raise $330 for weSPARK, a cancer support center here in Los Angeles. It means to much to have people back up my fitness-related endeavors by opening their wallets, and I appreciate it! And the soreness I mentioned at the beginning of this post? It’s mainly in my calves, and it feels good. It feels like… success. This entry was posted on Wednesday, November 7th, 2012 at 12:01 am and is filed under Uncategorized. You can follow any responses to this entry through the RSS 2.0 feed. You can leave a response, or trackback from your own site. 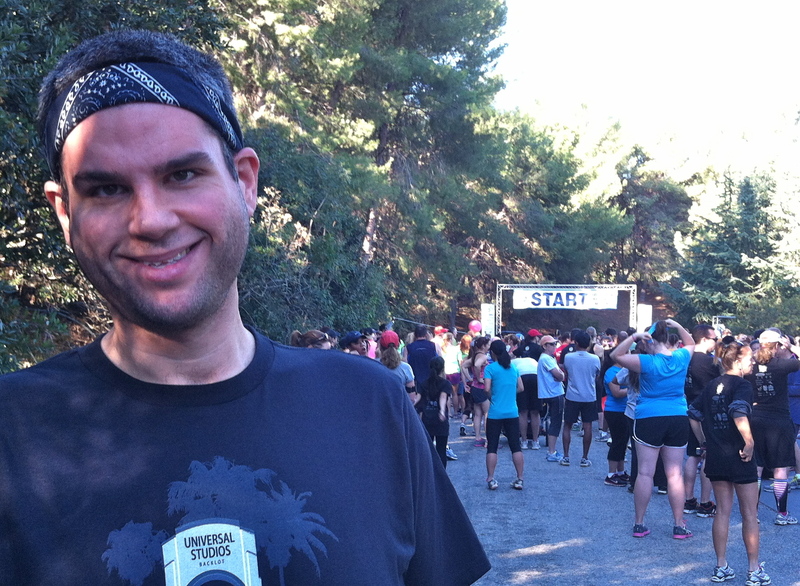 5 Responses to weSPARK Universal Studios Backlot 10K RECAP! Great Blog, David. 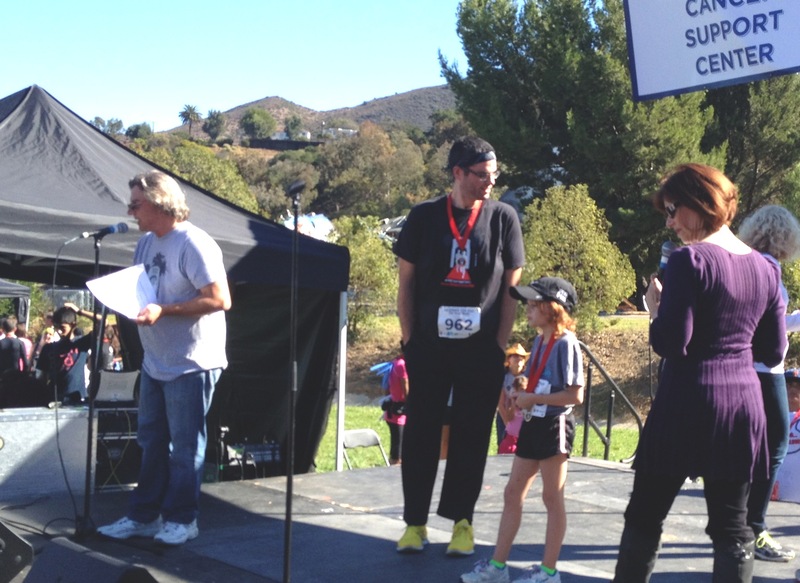 I think helping to hand out the medals was probably more fun than starting the race!!! Job well done, son. You did amazing on Sunday! 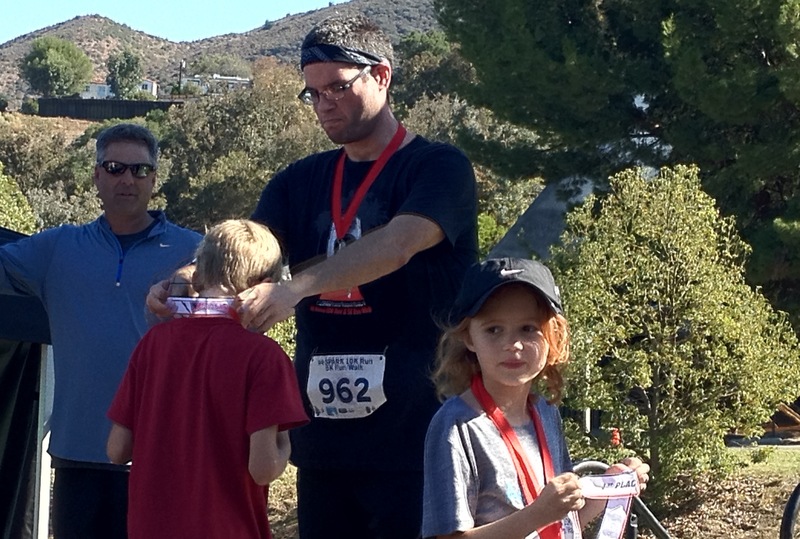 You and I had pretty much the same time, but since I only did the 5K, you were technically twice as fast as me! And I feel very special that I got a high five from you on Wisteria Lane. What a wonderful time you had! I enjoyed reading about it!